Chapter 8: Tunguska and Chicxulub. Originally I attempted to find reasons for the darkness of the Younger Dryas, an aspect of prehistory specifically detailed by the Maya Popol Vuh and mentioned in every creation myth worldwide. My solution was to place Earth periodically in the shadow of Saturn, but I never felt that this was a satisfactory solution. Then I ran across the scientific papers by Richard Firestone, et alii, dating to 2001 and 2007 (with a book in 2005), and suddenly the problem of the Younger Dryas was solved. The Younger Dryas is the period of 10,900 BC through about 9,000 BC. At the start of the Younger Dryas all the large animals (the megafauna) disappeared throughout almost all of the world, the North American continent completely burned up, mountain ridges melted, and the Laurentide Ice Sheet, which had covered most of Canada as the remnant of the last Ice Age, cracked and partially melted. And then, with the start of the Younger Dryas, it got cold, as cold as it had ever been in 30,000 years, and dry, although at first it rained incessantly. All of this is archaeologically well known and established. What has generally gone unrecognized is that these conditions probably resulted from a pervasive darkness which enveloped most of the Earth for 1500 years. The oldest recollections of mankind, throughout the world, are descriptions of a lasting darkness before the advent of a chaos in the skies and before the "creation" event. At the time when the first narratives were recorded, after 2000 BC and later, the "darkness" was only dimly recollected. It had occurred in a period which at that time lay 8,000 years in the past. This chapter will deal with some examples from the past which have informed the analysis of the event of the Younger Dryas. I will detail the actual experience of the event of 10,900 BC in the next chapter. In this chapter I want to review the workings of a repulsive electric field interaction, detail how this affects the stratosphere, and relate what happened at Tunguska. The incident of the explosions at Tunguska is something which the Firestone group, as well as everyone else, will replay endlessly and use as an analogy to explain other events. And I will also show something of the scope of the explosive electric arc damage of both the Chicxulub crater and the Grand Canyon, and present the Great Lakes atomic detonation. These electric field and electric arc interactions are not to be neglected. "... and darkness was on the surface of the abyss." "And here we shall take up the demonstration, revelation, and account of how things were put in shadow and brought to light." But where did the darkness, or "shadow," come from? The Popol Vuh never even hints at a cause for the shadow. From what we know of later conditions, the most likely suggestion is that the shadow was the result of an electric field interaction with Saturn, or perhaps one of its companion planets, Mercury or Mars. If Earth and one of those planets came close enough to have the plasmaspheres touch and merge, the result would have been far from benign. When Earth by chance moved into such a plasmasphere, Earth experienced a sudden stunning electric repulsive impulse, a shock which, if we go by the events discussed in later chapters, would have radically altered Earth's orbit, Earth's landscape, and perhaps Earth's climate. The above scenario is based on the record of what happened. I doubt if the plasmasphere of Saturn was contacted, because Saturn should be expected to have carried a large positive charge (although perhaps with a negative surface charge), since it came into the Solar System from beyond the plasmasphere of the Sun. Saturn was a star. Thus any Solar System planets would have been very negative with respect to Saturn's positive charge. The resulting electric field interaction should have resulted in attractive forces. And perhaps it was this which was responsible for moving Earth into the gravitational sphere of influence of Saturn (as defined by Tom Van Flandern). The damaging shock was clearly repulsive, and thus compressed the Earth's surface. A compressive shock would have raised the temperature of the atmosphere of the region facing the other planet by thousands of degrees, enough to incinerate every tree and bush in a radius of a thousand miles -- and, as it turns out, to a radius of 2000 miles (3200 km) in some directions. The carbon dust from this, on entering the stratosphere, would have shut down sunlight everywhere probably for a thousand years. In fact, for 1500 years. It happened in North America. This is what was reported in scientific papers in 2001 and 2007. It is amazing that humans throughout the world survived the 1500 years of the Younger Dryas. Large animals did not -- a sudden extinction wiped out all the megafauna of North America and later in Asia, Europe, and South America. Within weeks a darkness started to envelop the Earth, and large animals (elsewhere than in North America) were unable to switch to different food sources as these dried up and died out. Smaller animals required less food than the giant herd animals, and survived. After the beginning of the Younger Dryas all of the large herd animals of the northern and southern temperate zones went extinct. The tropics would remain somewhat warmer and thus able to support plants for feed and grazing. India and Central Africa were thus less affected as a result. One species of elephant survived in Africa and another in India. In Northern Asia 12 elephant species disappeared. The loss of so many large animal species in North America has led archaeologists to suggest an influx of humans around 10,000 BC, who hunted the herds to extinction. This notion, known as the "overkill theory," is no longer accepted as viable. Humans were hunting in North America since some 40,000 years ago. So says Richard Firestone. Some archaeologists will hold that the "die-off" of the large North American animals happened progressively over this period (13,000 to 11,000 years ago), without any apparent evidence of cataclysmic exterminations. Parallel extinctions happened in Asia (13,000 to 11,000 years ago) and South America at about the same time (circa 11,000 years ago) or somewhat later by a few hundred years, and a separate megafauna extinction had happened already in Australia and Southeastern Asia 41,000 years ago. Since this original observation, there have been suggestions (of course) of some "meteor impact" at the beginning of the Younger Dryas, specifically in North America. By itself, this does not account well for the other continents. Additionally it is almost absurd to suggest that a meteor, or even a series of hundreds of meteors, could result in 1500 years of drought and the coldest climate ever experienced on Earth, and, as I have mentioned, darkness. The North American extinctions stand out because of the great variety of species which still existed, mostly undisturbed by humans. Small animals, marine animals, and plants survived. The "die-off" also cannot be blamed on the start of an ice age (despite the start of 1500 years of severe cold), for ice ages had already occurred many times without causing extinctions. The last Ice Age had ended 2000 years earlier. The Younger Dryas chilled the Earth extremely -- it had only once been that cold before, and never since -- but there was no build-up of glaciers anywhere during this period. When Earth encountered the plasmasphere of the other planet -- at the beginning of the Younger Dryas -- all hell broke loose. Impacts like this must also have happened many times before. Richard Firestone provides data which clearly suggests (to me, not to Firestone) two other times when Earth made contact either with Saturn or its companion planets (thousands of years earlier), and many other times which are not as clear. This will also be described in the following chapter. But the event at the start of the Younger Dryas was significantly different from the two earlier contacts, as described by the data concerning the movement of the Earth's magnetic field. This suggests that the Earth may have remained within or below Saturn's plasmasphere (which included Mercury and Mars) after 10,900 BC. We actually don't know, for it got dark, and it remained dark for 1500 years, so we have no descriptions of what might otherwise have been seen in the sky. Not "darkness" actually, but "in the shadows," as the Popol Vuh describes it. By the time the shadows lifted, the Earth was clearly well below Saturn. Why Earth would have stayed so close to Saturn (although at 3,000,000 or 6,000,000 miles separation -- 10,000,000 km) is an enigma. One explanation is the concept of a "sphere of influence" for gravitational bodies, already brought forward earlier in these texts. The result of making contact with another plasmasphere can be predicted. It would involve four events, very closely spaced in time. What follows is based on repulsive forces, and the interaction is explained for these conditions. As an attractive force (which it might have been) I cannot readily make sense of the events. Obviously there is much more to this situation than would be suggested at first. First, on contacting the plasmasphere of another planet the negative charge of Earth would have been sensed when the Earth fell in line, causing a massive repulsive force -- a shock impulse -- to Earth. The shock instantaneously compressed the surface of the Earth, but also the atmosphere, which would have caused a tremendous increase in the temperature of the air. The evidence for the 10,900 BC event is for a repulsive shock, which suggests that Earth and some other planet below Saturn were at near equal electric potential. The reason for insisting that the other planet was Saturn and its companions is that after the shadow lifted, Earth was clearly below the south pole of Saturn -- in fact, below Mars. "Since gyroscopic precession involves a temporary transfer of angular momentum from spin to precession, when beginning and terminating it moderately affects the rate of rotation of a spinning object and introduces small horizontal forces on points on its surface; but it significantly shifts the absolute orientation of the spin axis in space as long as the precession continues in effect." And, notes Sherrerd, this would happen without "major tectonic disruptions" and "without large angular decelerating and accelerating forces." This argues against many of the dire consequences proposed by other catastrophists in commenting on "collisions" of planets or "near collisions." We need to curb thoughts of endless tsunamis and sloshing oceans. Even atmospheric reactions would be limited. That is not to say that the shock wave itself would not propagate seismically, and cause extensive earthquake damage. But this is not due to the tilting of the Earth. Second, the side of Earth facing the Saturnian planet would have rapidly changed to an induced opposite polarity. This might be due to slight difference in potential, but especially aided by the existence of readily available material which will allow electrons to escape (move away). Obviously an atmosphere would qualify, as would the Earth's ionosphere (where electrons will move elsewhere at a speed of a thousand miles per second -- 1600 km/sec), and also ionized matter repelled from the Earth's surface. The lightning of thunderstorms operates by way of induction: since like charges repel, the negatively charged overhead thunderstorm clouds clear the ground below of electrons, making the Earth's surface positively charged with respect to the clouds. The voltage at the Earth's surface is thus "induced" by the charge of the overhead clouds. With an induced voltage of opposite polarity at ground level, the voltage difference between the clouds and the ground is now doubled, and is a setup for a spark between ground and the thunderstorm clouds. Ralph Juergens has related this condition of an induced opposite potential for the situation of arcing between Mars and the Moon (in the 8th century BC), suggesting that it was Mars that responded to the near presence of the Moon by changing the potential of the facing hemisphere to positive, even with an overall coulomb charge much larger than the charge of the Moon. See "Of the Moon and Mars," at [saturniancosmology.org/juergensa.htm], originally in Pensee (1974). Although Mars has a tenuous atmosphere (which is all that is needed to constitute the density required for a plasma), the Moon (today) has much less. Mars additionally has vast quantities of dust (with a conductive iron oxide content), which even today rises hundreds of feet from the surface of the planet, in tornadoes and planet-wide dust storms. Third, with the induction of an opposite polarity on the facing surface of Earth (as the most likely to yield to an induced voltage) the repulsive force would drop off in intensity very quickly and reverse to become an attractive force. If the electric field force did not change from repulsion to attraction, Earth would have been propelled out of the Solar System, since there is nothing to curb the initial push away from the Saturnian system. I should point out that sensing the opposing electric charges of the two planets operates instantaneously. But relocating (chasing away) electrons from the region of Earth facing the Saturn system would take time, probably measured in seconds or minutes, so that the whole process of the initial shock, its decline, and the induction of an opposing voltage would span perhaps some minutes. Fourth, the difference in polarity would now cause an attempt at charge equalization between the exterior planet and Earth -- an arc would pass between the two. The arc would start up within minutes after the first electric field contact of the planets, soon after the voltage difference was sensed. Whereas the two planets initially were of the same voltage (potential difference), after an induced voltage has been set up, the planets would be at a potential difference twice the magnitude of the voltage of either planet. (A rough estimate would suggest 10 exp 19 volts.) That will be a very large number, and certainly would drive an arc to travel immense distances, an arc not otherwise ever seen in the Solar System. The arc also would not travel through empty space, but through the planetary plasmaspheres or along its edges. But an arc takes time to travel, since it consists of physical particles. If the other planet was the cathode and Earth the anode in this electric charge exchange (likely), the arc would have consisted of electrons from the exterior planet, which would be followed soon by protons and positive ions from Earth traveling in the opposite direction. The initial arc would therefore be no different from a terrestrial lightning bolt between clouds and the surface of Earth. It would have melted or excavated the surface of Earth where it landed, forming a crater or digging a hole, and ionized and expelled massive amounts of dirt and dust into the sky, and likely into space. I should again point the reader to two articles by Ralph Juergens, written in 1974, which suggest such lightning strikes between the Moon and Mars. Part one at [saturniancosmology.org/juergensa.htm] and Part two at [saturniancosmology.org/juergensb.htm]. Juergens does a very convincing job of delineating the details. See especially the differentiation of electric anode craters as flat molten surfaces. The magnitude of the electric arc exchange between the Moon and Mars was beyond all belief. "Explaining a crater floor of bare, once-molten rock in terms of the conventional impact theory is a little difficult." "One must resort to ad-hoc theorizing to the effect that something -- perhaps the shock of the postulated impact explosion -- melted a considerable volume of rock at some depth, and that following the explosion this material welled up to engulf the crater floor and flow around obstructions encountered there; otherwise, debris from the explosion itself could be expected to clutter the crater floor." "Impact theory offers no reason, however, to expect such a sequence of events, and nothing in terrestrial experience with crater-producing explosions supports the idea." The lightning bolt to Earth would have been lessened in its effect because of the Earth's atmosphere. Juergens (in "Moon and Mars") quotes others to the effect that terrestrial lightning is probably reduced by 90 percent because of dissipation by the air that it travels through. A typical terrestrial lightning bolt would cause a crater 250 feet in diameter on the Moon, rather than, for example, just splitting a tree trunk on Earth. For a Mars to Moon strike, Juergens steps through the process of developing a leader stroke. For Earth thunderbolts this is the pre-stroke passage of electrons between the Earth's surface and an overhead cloud. For the particular condition of the Moon and Mars, which was accomplished at very close distances (tens of thousands of miles), and did not involve (in this instance) a merging of plasmaspheres. A contact between Earth and Saturn, or a Saturnian planet, would be significantly different. The distances between the planets would have been immense (millions of miles), and the brushing of one plasmasphere against another might have been the guiding form through which the interactions were accomplished. A leader stroke did not need to be developed, since the double layer at the outer edge of the plasmaspheres is a conductor. The path for a lightning stroke is established as soon as the two planets became electrically aware of each other, although the travel of the actual arc will take time. I should also point out, that if we could have witnessed such plasma strikes, it would probably have looked a lot like a giant terrestrial hurricane or a tornado, with dust lifted up and swirling in circles about the center. "Electromagnetics and lightning have little or nothing to do directly with what drives tornadoes," says Wikipedia. But that is, in fact, not true; it is only wished to be true by Wikipedia. Just look at the 200-mile-high (320-km-high) tornadoes on Mars, where there is no atmosphere, with arcing at the surface. Tornadoes are exactly what Wikipedia says they are not: the transfer of electric energy between the ionosphere (or, for Mars, space) and the surface. On Mars the arcs at the base of the tornadoes can be seen. They show up as brilliant white patches in photographs. They leave blackened burn trails behind as they move over the surface. Considering the ultimate interaction between Saturn and Earth, it could alternately be suggested that most likely the Earth, like the other planets associated with Saturn, eventually assumed an electric potential appropriate to its distance away from Saturn and within Saturn's plasmasphere. This also speaks to the creation of a separate plasmasphere within the plasmasphere of the other planet. And what about the darkness before the chaos? I'll suggest that the cause for the darkness was the thermal pulse which would have resulted from the initial compressive shock. This would have raised the temperature of the atmosphere by thousands of degrees. It would have incinerated all of North America. Normally shock waves are of very limited width (thickness), often a fraction of an inch. But this wave resulted not from a point source, as with a detonation, but from the compression of the atmosphere over an area a thousand miles (2000 km) in diameter. This shockwave emanating from the affected area would have been hundreds of miles in thickness. It would have presented a sustained high-temperature condition, not a single sudden hypersonic flash which passed in a fraction of a second. The expanding compressive shock wave would have lofted ashes into the atmosphere and the stratosphere from the incineration (actually a carbon gasification) of plants and animals by the heat of the blast. The nanometer sized carbon dust in the stratosphere would cause a shadow to descend over the Earth. It is this, the shadow, which is the obvious cause for the cold climate during the Younger Dryas, and the dryness (cold air carries less moisture). In addition, the electric arc between the Saturnian planet and Earth would send vast amounts of silicate dust into the atmosphere, which, along with the water vapor from the initial short-term melting of the Laurentide Ice Sheet, would likely cause massive rains initially. The Popol Vuh complains incessantly about the cold rains of the shadow period. Firestone, et alii, recognizes the rains also. the Great Lakes atomic detonation. The detonation in the Great Lakes region was initially reported by Firestone and William Topping in "Terrestrial Evidence of a Nuclear Catastrophe in Paleoindian Times" (Mammoth Trumpet Magazine, 2001). This was followed in 2007 by Firestone and 24 other authors with an article which addressed the demise of the Laurentide Ice Sheet, the death of the megafauna, and the incineration of the landscape of North America, in "Evidence for an extraterrestrial impact 12,900 years ago [10,900 BC] that contributed to the megafaunal extinctions and the Younger Dryas cooling," (2007). I'll address this second paper in the next chapter. The information about nanometer dust in the stratosphere (not the atmosphere) is straightforward, and even though based on "models" of climatic results. It has been an accepted and tested point of view for decades (originally as the "nuclear winter" scenario). I am introducing it below because it easily explains the "darkness" or "shadow" of the Younger Dryas. This effect has been largely neglected by researchers involved with the cataclysm at the beginning of the Younger Dryas, for it represents a massive extension of the scale of the climatic effects, despite the admission by the researchers that the cataclysm itself was absolutely overwhelming. This is also something they (and we) do not want to think about, since the possibility for a nuclear winter remains hanging over our heads as long as we have a proliferation of nuclear weapons and unstable governments. "Nuclear bombs dropped on cities and industrial areas in a fight between India and Pakistan would start firestorms that would put massive amounts of smoke into the upper atmosphere." "The smoke would reach the troposphere [the upper region of the atmosphere] within two days. The sun would then heat the tiny particles and loft them into the stratosphere. Precipitation never occurs there, so particles would take about ten years to fully settle to earth's surface. Smoke in the troposphere washes out within a week or so." "The particles would remain there for years, blocking the sun, making the earth's surface cold, dark, and dry. Agricultural collapse and mass starvation could follow. Hence, global cooling could result from a regional war, not just a conflict between the U.S. and Russia." "Cooling scenarios are based on computer models. But observations of volcanic eruptions, forest fire smoke and other phenomena provide confidence that the models are correct." "Cold, dark, and dry" are short for the conditions complained about in the Popol Vuh for the first three-quarters of the book, except that it is endless rains, rather than dryness, which is part of the complaint of the Popol Vuh. The rains at the beginning of the Younger Dryas are the result of the initial water vapor from the partially melted Laurentide Ice Sheet and the silicate dust and particulate matter in the atmosphere due to an interplanetary lightning strike. The excess water vapor in the atmosphere would be turned to rains by the atmospheric dust, even in a cooling climate. Climatologists have especially noted that the tropics received extra rain during the Younger Dryas. The Popol Vuh records this condition for a latitude of 10 to 15 degrees north. A similar condition of initial rains was noted for the period after the year 1492 BC: initially, massive rains washed soil away, and then rivers and lakes went dry. "The smoke covered all the continents within two weeks. The black sooty smoke absorbed sunlight, warmed, and rose into the stratosphere." "The climatic response to the smoke was surprising. Sunlight was immediately reduced, cooling the planet to temperatures lower than any experienced for the last 1,000 years. ... Precipitation, river flow and soil moisture all decreased because blocking sunlight reduced evaporation. ... Drought was largely concentrated in the lower latitudes [the sub-tropics]." The "nuclear winter" model has been around for thirty years. The authors only provided improvements in modeling. They tested their model against historic volcanic eruptions -- Tambora 1815, Krakatau 1883, Pinatubo 1991. They write: "The surface temperature plummeted after each eruption in proportion to the thickness of the particulate cloud. ... Global precipitation, river flow and soil moisture decreased. Our models reproduce these effects." The authors mention that volcanoes produce sulfate clouds (Sulfur Dioxide aerosols), which remain suspended in the upper atmosphere "for some time," but do not rise into the stratosphere. "Stratospheric sulfur aerosols are tiny sulfur-rich particles of solid or liquid, or a mixture of the two, which exist in the stratosphere region of the Earth's atmosphere. When present, after a strong volcanic eruption [which can "inject" gases directly into the stratosphere] such as Mount Pinatubo, they produce a cooling effect for a few years before the particles fall out, by reflecting sunlight, and by modifying clouds as they fall out of the stratosphere." "An aerosol is a suspension of fine solid particles or liquid droplets in a gas. The sulfate particles or sulfuric acid droplets in the atmosphere are about 0.1 to 1.0 micrometer (a millionth of a meter) in diameter [100 to 1000 nanometer]." I should point out again that the estimate of the duration of the cooling and drought as 10 years is a conservative estimate. I am offering this information as a base condition to events involving extensive wildfires. Later chapters will point up two other periods of drought and coolness which were recorded by the people of Mesopotamia and Mesoamerica, and which can be attributed to events of 2193 BC and 1492 BC. The 2193 BC event was felt in Sumer and in Egypt as a failure of agriculture, and lasted 200 years. In Egypt the Old Kingdom came to an end; in Mesopotamia the Akkadian empire fell as agriculture was inhibited by a lack of sunlight. Electric field interactions between charged objects have been witnessed by humans. On June 30, 1908, at about 7:30 in the morning, a bolide from outer space approached the Earth's surface at the Stony Tunguska river in Siberia, and exploded. Deafening explosions were heard hundreds of miles away. A shock wave traveled twice around the Earth. From 40 miles (60 km) away it was experienced as a fireball in the sky, a flash of heat, followed by a series of explosions. People were knocked down, and windows broken. Reindeer herders 30 miles (50 km) from the center of the impact were thrown about while in their shacks by the air shock, while singed trees fell around them. There were 4 thunderous explosions, the earth shook, and a horizontal shockwave felled trees over an area larger than New York City. A flash of heat set dead tree branches and moss on fire. But there was no impact, there was no crater, there was no meteor debris. Sixty million trees, some up to three feet (a meter) in diameter, and 15 to 20 miles (30 km) away from the center, were blown over, yet the trees in a five mile (8 km) diameter circle at the center were left standing, with only their branches removed. Trees within the central half of the area were scorched. "Seismic vibrations were recorded by sensitive instruments as much as 1000 km (600 mi) away. At 500 km (300 mi), observers reported 'deafening bangs' and a fiery cloud on the horizon. About 170 km (110 mi) from the explosion, the object was seen in the cloudless, daytime sky as a brilliant, sunlike fireball; thunderous noises were heard. At distances around 60 km (40 miles), people were thrown to the ground or even knocked unconscious; windows were broken and crockery knocked off shelves. Probably the closest observers were some reindeer herders asleep in their tents [huts] in several camps about 30 km (20 mi) from the site. They were blown into the air and knocked unconscious; one man was blown into a tree and later died. 'Everything around was shrouded in smoke and fog from the burning fallen trees.'" Well, not "burning trees" by other reports, nor "blown into the air" either, as the actual accounts further below will show. Hartmann estimates the explosive energy reaching the ground as the equivalent to 60 atomic bombs (a value of about 900 kilotons of TNT). But this represents about half of the total energy involved. He calculates the total energy at 1500 kilotons of TNT -- two orders of magnitude (100 times) greater than the Hiroshima atomic bomb of 15 kilotons. Others have estimated 3 orders of magnitude (1000 times) -- 15,000 kiloton. Some Russian researchers have estimates of less than 15 kilotons of TNT, which might actually make much more sense. I'll return to the sense of scale further below. "In the settlement of N[izhne]-Karelinsk (about 200 versts [130 miles, 200 km] to the north of Kirensk) the peasants saw in the northwest, quite high above the horizon, some sort of body glowing with an extraordinarily intense (such that you couldn't look at it) blue-white light, moving downwards from above over the course of 10 minutes. The body took the form of a "pipe," that is, a cylinder." -- Irkutsk newspaper Sibir, 2 July 1908. In arc mode discharge the object would have been under severe stress, since in arc mode the current can increase without limit. This would soon have resulted in the explosive rupture of the rock of the asteroid. This was, by the way, an asteroid -- a rock or set of rocks. It has been called a meteorite, but "meteorite" is the name for an object that enters the Earth's atmosphere and makes it to the ground. It has also been called a "meteor" or a "comet," but again, the word "meteor" is used for any object which develops a streak on entering the Earth's atmosphere (or so it is thought), whereas a "comet" is a far away object which exhibits a plasma tail. Comets are thought to be balls of ice, and their tails are thought to represent, as one website explains without blinking, "gas flying off the comet" and "ions being blown away by the solar wind." The Tunguska "comet" probably did not reach the atmosphere, since it blazed for ten minutes. What was seen were electrons being released -- torn out of the silicate matrix of the rock -- in an attempt to accommodate the voltage of the intruding asteroid to the electric field of the Earth. Entering the Earth's plasmasphere, the asteroid would be at a potential mismatched to that of the Earth. The fact that the "pipe" behind (or above) the object extended a finite distance is significant in indicating how far behind the asteroid, in time and distance, the voltage equalization was. The pipe was, at any rate, not described as a smoky trail, like that of a rocket or burning object, nor as a pointed spike or a curved tail typical of far-away comets. 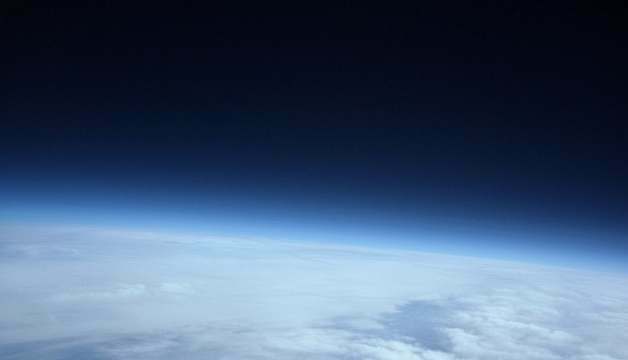 In "ten minutes" of being propelled at an average speed of 20,000 miles per hour (32,000 km/hr), the bright object was obviously not within the atmosphere of Earth most of the time either. If it was seen approaching for ten minutes, it would have traveled 3000 miles (4800 km). The atmosphere extends about 75 miles (120 km) up. What I would expect to happen next, as the asteroid headed toward Earth's surface at an (estimated) angle of 15 or 30 degrees (which is not material) is that after the arc mode plasma would rupture the rocks, the "blue-white" arc mode would disappear in favor of a glow mode display (because more surface area was suddenly provided). And, in fact, many observers first saw the object after hearing the first of four explosions and describe it as glowing or in flame. The color of a "flame" is not the "extraordinarily intense blue-white light" described earlier. So it was no longer in arc mode at this time. "At the beginning of the ninth hour of the morning, local time, there appeared a fiery sphere which flew in a direction from the southeast to the northwest. This sphere, as it neared the earth, took on the form above and below of a flattened sphere (as was visible to the naked eye); approaching even nearer to the earth, this sphere had the look of two fiery columns. As that enormous mass fell to earth, there occurred two strong crashes, like thunder, but the fact that the sky was completely cloudless may serve as proof that it was not thunder." -- M. R. Romanov, observer, 1908. Romanov reported what was perhaps a split tail, which other observers might not have seen. It would depend on their vantage point. One tail would consist of glowing silicates, actually leached from the asteroid ("sputtered") and strewn (electrically repelled) along the path of its trajectory. The other column would be located straight up from the asteroid and consist of electrons and ions defining a shadow of the earth's electric field -- and thus pointing away from the Earth above the incoming object. The observation may also represent the flattened sphere suddenly being blown back along its trajectory (or more likely at a right angle to the Earth's surface) on sensing the Earth's repelling electric field. Importantly, he describes a "flattened sphere." I was actually on the lookout for a "flattening" among the eyewitness reports, for I would think that the next event in order would be a massive repulsive electric field force between the object and the Earth, which would have affected both the asteroid and the "impact location." There are three reports of a flattening. In the newspaper article quoted below it is described "as if the body spread out." "Nearing the ground (the forest), it was as if the shining body spread out, in its place there formed an enormous puff of black smoke and there was heard an extraordinarily powerful rumble (not thunder), as if from large falling stones or cannon fire. All the structures shook. At the same time a flame of undetermined form began to break out of the cloud." The black cloud might have been a pulverization or breaking up of the asteroid. The black cloud would not have been a shadowing by the Sun, which at that time of day was about 26 degrees up in the eastern sky. (Sunrise at 61 degrees north latitude is at 2:38 AM at 54 degrees north of east on June 30th.) It was not observed if the Earth's surface was hit, for the impact location could not be seen (being 170 miles away, 270 km). But it is certain that the ground had been hit with a massive compressive impulse, which would translate to a flash of heat, because as the pressure of contained air goes up, so does the temperature (the Gas Law formula is pV = nRT). At the speed with which this happened, the air would be considered as briefly contained, that is, incompressible. The same compression, of course, would happen at the bolide, and most likely explains the "black cloud" as dust. A heat wave moves at the speed of light. The observation of a "black cloud" matches other observations which mention that "the sky opened up." I considered this a very strange observation, and initially thought of it as idiomatic to the local Siberians who furnished the descriptions. But after repeated reports I started to understand the "opening of the sky" as expressing the notion that suddenly and briefly, and over a limited area in the sky, the stars were seen. This is to be expected as a result of an instantaneous compressive impulse, which in effect moved all the atmosphere aside. The stars were seen. "I suddenly saw that directly to the north, over Onkoul's Tunguska road, the sky split in two and fire appeared high and wide over the forest. The split in the sky grew larger, and the entire northern side was covered with fire. At that moment I became so hot that I couldn't bear it, as if my shirt was on fire; from the northern side, where the fire was, came strong heat." "I wanted to tear off my shirt and throw it down, but then the sky shut closed, and a strong thump sounded, and I was thrown twenty feet. I lost my senses for a moment, but then my wife ran out and led me to the house. After that such noise came, as if rocks were falling or cannons were firing, the earth shook, and when I was on the ground, I pressed my head down, fearing rocks would smash it." "When the sky opened up, hot wind raced between the houses, like from cannons, which left traces in the ground like pathways, and it damaged some crops." This is the third instance of a flattening or broadening of the object, here presented as "the sky split in two" followed by "the entire northern side [of the sky] was covered with fire." Again, here is a description of the sky "opening up." The same compressive forces experienced at ground level also resulted first in a compression and then an expansion of the atmosphere below the bolide, likely shattered the bolide, and brought the dust and particulate matter to incandescence. The radiant heat was felt immediately by Semenov, followed by a shove of what I will here suggest was a repulsive electric field force between the Earth and the bolide. The rumble and sound like cannons being fired or rocks falling is possibly the sound of the air compressing, expanding (from being heated), and then falling back in to fill the resulting void. These are the sounds of a large object, here a mass of air, rather than the sound from discrete locations like a thunderclap. But it is possible that these rumbling sounds were associated with the compressive impact at ground level (after all, some 60,000,000 trees fell), but I doubt that such sounds would have carried well through the intervening forest of trees for the sound to arrive as soon as is suggested by the quoted text. Semenov experienced the heat, then a shock ("a strong thump") from the compression of air, followed by the sounds from overhead, a number of them arriving at closely spaced intervals, like "rocks were falling or cannons were firing," and then an Earth tremor from the shock experienced at ground level below the bolide ("the earth shook"). The sequence of these -- the heat, the thump or jolt, rumbling sounds, and the Earth tremor -- is correct for the mechanics described above: the radiant heat pulse traveled at the speed of light, the thump and the jolt nearly so, but would have been delayed by the mechanics of compressing air (possibly this represented a shock wave from the explosive compression propagated through the air), the rumbling sounds were generated seconds later as the air at various locations collapsed into cavitated spaces, and the Earth tremor traveled much more slowly through the ground, although faster than the speed of sound in air. What had happened here in this sequence is that the voltage of the Earth and the object had been noticed by both, and both were negative. This would result in a repulsive force between the object and the Earth, which would be experienced at each end as a compressive impulse. It is this which constituted the first loud bang, the change of the object to a flattened shape, and the appearance of a black cloud. What happened next is that the bolide, being at a greater negative voltage (charge level) than Earth, induced a positive voltage at the surface of the Earth below the object. That would have been immediate cause for a lightning strike between the bolide and Earth in an effort at charge equalization. If the bolide came into the Earth's upper atmosphere with a coulomb charge representing a thousand billion volts difference, then after a positive voltage was induced at the Earth's surface, there would be voltage difference of two thousand billion volts. None of this is altogether too certain, because there are numerous variations in the parameters governing the interactions, and additionally there is considerable variation in the reporting of the event. Of the physical parameters, I should point out, for example, that the electric field of the Earth is not linear near the surface. It varies locally, although generally decreasing in negative value as Earth is approached. How the electric field of the Earth was additionally distorted at the Tunguska "impact" location is hinted at by N.V. Vasilyev, a Tunguska researcher, who, in "The Tunguska Meteorite: A Dead-lock or the Start of a New Stage of Inquiry?" (Tunguska International Workshop, Bologna, Italy, 1996), wrote that the "explosions" happened directly over the mouth of an ancient Triassic volcano. This would seem to have provided an electric discharge path directly to the interior of the Earth. When the object came within this striking distance for an arc, it was hit with a thunderbolt from Earth. This may have been relatively close to the ground. Investigators have suggested an elevation of about 5 miles (8 km) above the Earth for the altitude at which the object exploded. This is a lot. It is likely that the thunderbolt, and apparently a number of subsequent thunderbolts (identified by local observers by their flash of light and clap), broke up and disintegrated the object. At least, so it is suggested by later researchers until more recently when a theory that the object exploded by itself, for unknown reasons, came into vogue. If it is held that the bolide exploded aerially, then the researchers have to take a completely different accounting of energy levels. The devastation at ground level now has to be accounted for by an explosion five miles (8 km) above the ground. Considering that the effect of an explosion falls off as the square of the distance, the energy level attributed to the overhead explosion would have to be set at a thousand or a million times the effect felt at ground level. In fact, Ari Ben-Menahem, in "Source parameters of the Siberia explosion of June 30, 1908, from analysis and synthesis of seismic signals at four stations" (Physics of the Earth and Planetary Interiors, 1975), suggests 5 orders of magnitude (100,000 times). If the explosion occurred at a height of approximately 7.5 km, then a total energy release of approximately 3 * 10 exp 23 ergs (7,500,000 tons of TNT) would be required to result in an estimated seismic (ground level) energy of 5 * 10 exp 18 ergs (125 tons of TNT). The same holds for the scorching of the central portion of the felled trees. The scorching heat at ground level would probably be on the order of under 1000 degrees Fahrenheit (800 degrees Fahrenheit is the ignition temperature of dry wood) and be experienced for a very short duration (there is no disagreement on these two factors), but, because of the same assumption of a radial falloff, the temperature of the overhead "fireball" has been estimated at 30,000,000 degrees Fahrenheit -- hotter than the Sun. The result is that investigators are searching for physical and mechanical explosive processes far in excess of anything that is required to fulfill the conditions that were experienced. The mainstream scientific identification of the "impact area" was initially based on the effects of an explosive shock wave from a blast at the surface of ground zero. It assumed a trajectory for the object which would have intersected the Earth's surface at the location of the "impact site." It most likely did not. It is very likely that the object overflew the "impact zone" and landed somewhere further afield in the northwest. If it landed at all. This was understood later when no impact depression was found and no remnants of a meteor. At that time it was suggested by the scientific establishment that the object had exploded while miles above the Tunguska epicenter. At any rate, the ground was hit hard enough to cause an earthquake estimated to be the equivalent of a 5th magnitude on the Richter scale (this was before the Richter scale was adopted). This, and the subsequent travel of a blast of superheated air, are the evidence of a repulsive electric field impact force, not of a surface impact. The downward compressive impulse would have been established instantaneously, although it would take time to compress the air and then have it blast out sideways from the center. And it let up quickly after that. It also had nothing to do with a continuation of the trajectory of the object. The compressive impulse happened perpendicular to the ground, below the object as it was traveling. The heat of the shock wave would have ionized the air enough to allow an almost immediate return thunderbolt. This may have broken the object up -- but it has also been suggested that the bolide continued to travel toward the northwest. The high temperature wave of compressed air traveled laterally along the ground away from the center singed dead pine needles, moss, and dead branches of trees (not "burning falling trees" as Hartmann wrote). The pressure of the air expanding laterally also snapped or uprooted 60,000,000 trees (some of which were dead standing trees). Once the extent of the damage became known, new causes were sought. Thus, as mentioned, the later analysis of the physics of this event envisioned a shockwave of compressed air, generated when the comet or meteor exploded while still 3 to 6 miles (9.5 km) above the ground. "The spectacle that confronted Kulik [an investigator in 1921] as he stood on a ridge overlooking the devastated area was overwhelming. He saw an area where trees up to three feet in diameter had snapped like toothpicks, were uprooted and strewn across the landscape." -- Quoted from ICR, 2019. "The meteor trail acts as a giant lightning rod that connects the conducting ionosphere to the upper atmosphere. If the earth is an electrical body in an electrical solar system, it is the equivalent of a temporary short-circuit of a giant capacitor. The current flowing along the meteor trail gives rise to the unexplained brilliance and long-lasting glows of some meteors. It causes them to disintegrate like an exploding capacitor, high in the atmosphere. The Tunguska explosion was probably the most noteworthy example of the effect." ... in an Electric Universe comets are not the apocalyptic threat to the Earth imaginatively portrayed by artists. Such pictures are entirely fanciful because a comet would be disrupted electrically by a cosmic thunderbolt before it hit the Earth. The only visible evidence remaining would be an electric arc crater." "Precipitation that fell on Greenland during the winter after Tunguska contains a strong, sharp spike in ammonium ions that can't be explained by other sources such as wildfires sparked by the fiery explosion, says study coauthor Adrian Melott." -- Science News (2010) comments on "Cometary airbursts and atmospheric chemistry: Tunguska and a candidate Younger Dryas event" by Adrian L. Melott, Brian C. Thomas, Gisela Dreschhoff, and Carey K. Johnson, in Geology, (2010). Let's clear this up: There were no "wildfires sparked by the fiery explosion" -- only the scorching of dead branches and dry moss. The same repulsive force also hit the asteroid, likely shattering it, as I have suggested, and bringing the dust to incandescence. Then, as soon as the (more) negative polarity of the asteroid was sensed by the surface of the Earth, and the Earth's surface changed to an induced positive voltage, there would have followed a thunderbolt between the Earth and the object in the sky. In fact, there were dozens. This last act would probably further reduce the asteroid, or some portion of it, to microscopic dust. The dust is the result of the destruction of silicates in providing electrons to the thunderbolt. The electrons traveled to the Earth's surface during the thunderclap. The dust remained in the atmosphere. The dust was noticed in the night skies for the following few days, causing a reflection of light from the day side of Earth to the night side. Mount Wilson Observatory also noticed the dust -- star observations were obscured for months. The dozens of thunderbolts were recalled as "a railway upon which dozens of trains are traveling at the same time" and "an exact likeness of artillery fire was heard: 50 to 60 salvos in short, equal intervals, which got progressively weaker." This is quoted from text presented further below. They stand out from the louder single detonations. Possibly new thunderbolts started up as the bolide traveled overhead. I do not know. What is still missing is the clear identification of a cathode or anode, although I have already hinted at these. Since no obvious gouging of soil was ever noticed at the strike point on Earth, it seems reasonable to conclude that Earth was the anode for this thunderbolt. The site was not inspected until 1921. There were reports by local hunters (who ought to know) of new depressions, holes, concavities, and changes of a bog to a lake, but these were mostly ignored by later investigators, who were still looking for evidence of objects having fallen from above and entering the ground, and who spent time excavating the holes in a search of comet fragments. None were found. But the depressions and holes were a sure sign of the identity of the point of delivery -- the anode -- of massive lightning strikes between the ground and the atmosphere. 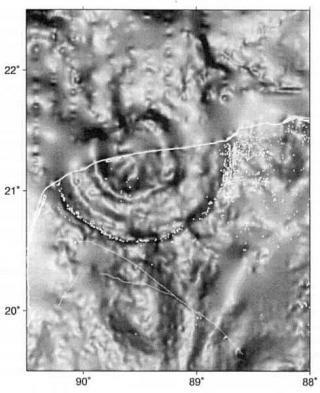 "... by 1928 when trained observers first visited the site, they found the impact site to be pockmarked with a series of shallow, funnel-shaped depressions of variable width but not more than four or five meters [12 to 15 feet] in depth. No meteorites were discovered." -- W.K. Hartmann, Moons and Planets (1973). Of the eyewitness reports many are contradictory, confusing, and apparently recall details out of order. But the following, a recollection by Stepan Chucchan and his brother Chekaren, from an interview by I. M. Suslov in 1926 (although not published until 1967), seems to recount the final moments of the asteroid with unusual clarity. Notice that it becomes clear that the object perhaps consisted of four separate pieces, which seem to have exploded separately (this idea has become orthodoxy in the establishment analysis, by the way). A survey of felled trees near the epicenter also suggested three or four separate explosions to later investigators, or, at least, additional surface explosions of unusual directivity. The Chucchan brothers were 20 miles (32 km) away from the epicenter, and apparently to the south or south by southeast. "Our hut stood on the banks of the Avarkitta. Before sunrise Chekaren and I arrived from the Dilyushmo creek, where we had stayed with Ivan and Akulina [Lyuchetkan]. We fell into a deep sleep. Suddenly we both woke up at once: someone had jogged us awake. We heard a whistle and felt a strong wind. Chekaren yelled to me 'Do you hear how many golden-eyes or mergansers are flying by?'" "We were both still in the hut, you know, and we couldn't see what was going on in the forest. Suddenly someone shoved me again, so hard that I hit the hut's pole and then fell on the hot coals in the hearth. I got scared. Chekaren also got scared, caught hold of the pole. We began to yell father, mother, brother, but no one answered. Beyond the hut there was some sort of noise, we could hear how the tree-trunks were falling. Chekaren and I crawled out of our sleeping bags and already wanted to leap out of the hut, but suddenly the thunder struck very strongly. That was the first thunderclap." "Golden-eyes" and "mergansers" are ducks. The first instance of being "jogged" is likely a seismic shock (via the ground) due to the initial repulsive impact (longitudinal P-wave). The second instance, "shoved me again" would then likely be the secondary seismic waves (transverse S-wave) , which travel slower than the initial (primary) waves. Both of these preceded the sound of the thunderclap since seismic waves travel faster via the ground than sound travels through the air. Twenty miles (32 km) from the impact area, the sound of the thunderclap would have taken about 90 to 100 seconds (at approximately 0.2 mi/sec - 0.3 km/sec) to reach the Chucchan brothers, whereas movement of the ground, the "jogging" and "shoving," which preceded the thunderclap, would have arrived in about 5 seconds (at about 4 mi/sec - 6 km/sec). These seismic waves might have arrived somewhat sooner or later than I indicate here -- by half or twice the time, since the velocity depends on soil conditions, but still clearly separated from the thunderclaps. What is amazing is that a thunderclap 20 miles away was heard as "very strongly." That is not a normal experience for hearing distant thunder. This "thunderclap" could be the sound accompanying a first thunderbolt, but more likely it represented the concussive impulse of the repulsive force between the asteroid and the ground. The order of events remains the same: the ground movement would have been felt long before the sound would have traveled the same distance through the air and would have been heard. "The ground began to twitch and pitch, a strong wind slammed into our hut and knocked it over. I was squeezed hard by the poles [boards], but my head was not covered because the roof had split [the roof was made of hides]. There I caught sight of a terrifying marvel: The tree-trunks are falling, their needles are burning, the dried ones on the ground are burning, the reindeer moss is burning. There's smoke all around, my eyes hurt, it's very hot, I could burn up." Possibly the "twitching and pitching" of the ground, which followed the earlier thunderclap, represented additional seismic activity. That would seem to be indicated by the fact that the trees, as the brothers reported, were falling around them at that time. But the fact that this second set of seismic waves (if that is what it was) arrived very late -- after the initial thunderclap -- would indicate that this was perhaps not seismic, but local. I would also not associate it with the earlier thunderclap. Probably what was recorded as "movement of the ground," accompanied by a strong wind which "slammed into the hut" and toppled it, was the arrival of the compressive air burst which spread out from the center of the "impact" area and the tumultuous vibration of falling and uprooting trees. "Suddenly, above the mountain, where the forest had already fallen, something started to shine intensely, and, I tell you, it was as if a second sun had appeared; the Russians would have said 'something suddenly flashed unexpectedly'; it hurt my eyes, and I even closed them. It resembled that which the Russians call lightning. And immediately there were 'agdyllyan,' loud thunder. That was the second thunderclap. The morning was sunny, there were no thunderclouds; our sun shone brightly, as always, and here there appeared a second sun!" "The Russians would have said" is a cultural insertion by Chucchan, since the native Evenk and Tunga tribe members attribute thunder and lightning to spirits, not to natural forces. It also speaks to the authenticity of the interview texts. "Started to shine intensely," shows that this was not lightning, but an arc mode plasma discharge. There have been suggestions that there were two bolides. If this is true, this would be the second bolide going to arc mode on traveling into the Earth's electric field. Stepan Chucchan at this point states, "immediately there were loud thunder." It should be obvious that thunder would be delayed by over 90 seconds if the object in the sky was still twenty miles away, and the flashing light was a lightning strike. The only conclusion I could reach is that this was indeed a second bolide suddenly brightening -- the second sun -- and the "immediate loud thunder" was the report of a repulsive electric field. The repulsive force would travel instantaneously and the clap would be experienced, as Chucchan states, almost immediately. This was not a thunderclap. If it really were a thunderclap the sound arrived far too soon. This disconnection of sight and sound for these events is confusing. "With difficulty Chekaren and I crawled out from under the poles and the roof. After that we saw something flash above us, but already in a different place, and there was loud thunder. That was the third thunderclap. A wind flew at us, knocked us off our feet, struck against the fallen tree-trunks." "We looked at the falling trees, we saw how their tops were broken, we looked at the fire. Suddenly, Chekaren yelled 'Look up!' and pointed. I looked there and there was lightning again, it flashed and struck again, made 'agdyllyan,' thunder. But the thump was a little less than before. That was the fourth thunderclap, like normal thunder." "Now I remember well that there was one more thunderclap, the fifth, but it was small and somewhere far away -- there where the sun sleeps at night [in the northwest]." Notice that the third, fourth, and fifth thunderclaps had moved further away, with the last (fifth) in the northwest, as would be expected if the asteroid (or parts of the asteroid) kept moving after being struck by lightning. These were not explosions in the normal sense. What the Chucchan brothers saw was lightning, although others (as quoted above) reported a blazing fire, the formation of a black cloud, and flames shooting out of the cloud. The Chucchan brothers were in their hut when this happened. If the order of these recollections is correct, then the initial "shoves" and the wind which followed with the Earth shaking, was a compressive impulse between the ground and the object in the sky. The following thunderclaps, accompanied by lightning, were likely lightning between Earth and the object. The explosion of a second bolide remains as a good possibility. The Chucchan brothers were not scorched by the heat of the shockwave which moved past them because they were still inside their hut. A herd of 600 reindeer, belonging to the Dzhenkoul brothers, and located at about an equal distance from the epicenter was not so lucky. "In that place the seven rich Dzhenkoul brothers in those days pastured a reindeer herd of 600-700 head. The brothers were rich. On that day, [my] father went to meet the reindeer on the Ilimpo [river] (in the north). The herd was pastured between the Kimchu river and the Polnoty (Churgim) river. On the upper reaches of the Polnoty river there was a storehouse. There was a second storehouse at the mouth of the Cheko. There, where the first storehouse was (on the Polnoty-Churgim), there everything was burnt up. Of that storehouse there remained only ashes. The storehouse at the mouth of the Cheko was thrown over (carried away) by a whirlwind. At the headwaters of the Khushmo [river] their herd was burned, the reindeer were burnt up, only ashes remained. At the mouth of the Cheko, the reindeer lay curled up, but they didn't burn (they had been stunned and they died)." -- L. V. Dzhenkoul, interviewed by G. P. Kolobkova, 1960, recollections of his father. "The meteorite did not strike the ground or make a crater, early researchers thought the object might be a weak, icy fragment of a comet, which vaporized explosively in the air, and left no residue on the ground." "However, modern planetary scientists have much better tools for understanding meteorite explosion in the atmosphere. As a meteorite slams into the atmosphere at speeds around 12 to 20 km/sec [25,000 to 50,000 miles per hour] or more, it experiences a strong mechanical shock, like a diver belly-flopping into water." "This can break apart stones of a certain size range, which explode instead of hitting the ground. Some of them drop brick-sized fragments on the ground, but others, such as the one that hit Siberia, may produce primarily a fireball and cloud of fine dust and tiny fragments." "In 1993 researchers Chris Chyba, Paul Thomas, and Kevin Zahnle studied the Siberian explosion and concluded it was of this type -- a stone meteorite that exploded in the atmosphere. This conclusion was supported when Russian researchers found tiny stony particles embedded in the trees at the collision site, matching the composition of common stone meteorites." Let me suggest that "modern planetary scientists" do not have "much better tools for understanding". They have nothing; they have absolutely nothing to base any of their scientific opinions on and they certainly do not have even one iota of understanding. They are as clueless, and continue to be so, as the Evenk and Tunga reindeer herders who swore that the Iron Spirit Birds (the Agdy) of the Storm God were at fault. The modern planetary scientists are spouting absolute nonsense in an effort to sound like they have been talking to their God. "A 1961 expedition recovered soil samples that contained small spherules believed to be part of the object. The spherules would be consistent with the idea of an admixture of small grains of non-icy 'dirt' in the dirty iceberg [a 'comet'] and their spherical shape could be the result of sudden melting during the explosion." "... sometimes the weight of opinion is tilted by the scale of an assumed phenomenon. Remember that every aspect of this event is being retrocalculated; the mass and velocity of the unmeasured object can thus be diddled to account for the gauged destruction!" "So, if there was a release of energy beyond what was produced kinetically, its contribution to the damage could well be absorbed by postulating a more massive object or higher encounter velocity." This is an astute observation, which has also been voiced by Russian researchers. As I earlier proposed, it was a rock. But what establishment scientists entirely misread is that this rock exploded electrically -- it vaporized (or at least broke up) because of the violent fragmentation which ripped apart the lattice of the silicates in order to gain electrons for delivery as a series of thunderbolts in a contact with Earth. 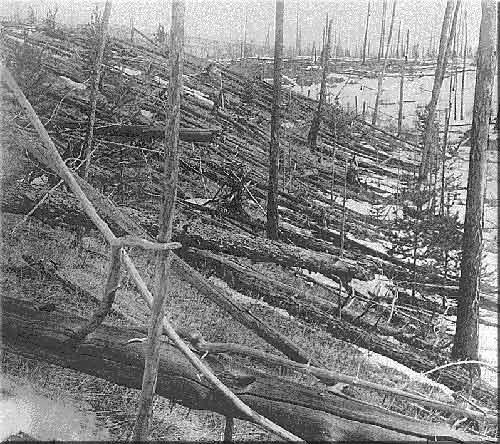 The Tunguska "explosion" was the delivery of a massive electric field repulsive shock, followed by a series of lightning strikes from Earth. The whole concept of a massive repulsive electric field force is totally foreign to consensus thinking, as it is to most catastrophists. And that the Earth would protect itself by launching a lightning bolt at the intruding object is just as unthinkable. But consideration of the physical consequences of this event argues against simplistic and completely mechanical effects. "The vector structures of the forest falling on hill-sides facing the epicenter and the opposite ones are essentially different, which is in poor agreement with the assumption of the center of generation of the blast wave located high above the earth." "Thus, the conclusion suggests itself that along with great energy release 5.5 to 8 km above the earth, there were a number of low-altitude (maybe even right above the surface) explosions that contributed to the total picture of destruction. This seems to be sustained by other data concerning in particular the configuration of the zones of dead trees ('poles') in the central part of the area of the catastrophe and deposition of aerosols immediately after the explosion." Of course this is exactly what I have here proposed. Certainly there was a down-directed force from the object 5 or 10 km up in the sky. The downward force would have been at right angle to the surface, for it would have been due to the electric field. But this force was of such an enormous compressive magnitude that the air heated up by thousands of degrees and needed to expand sideways along the ground, and in all directions away from the center. 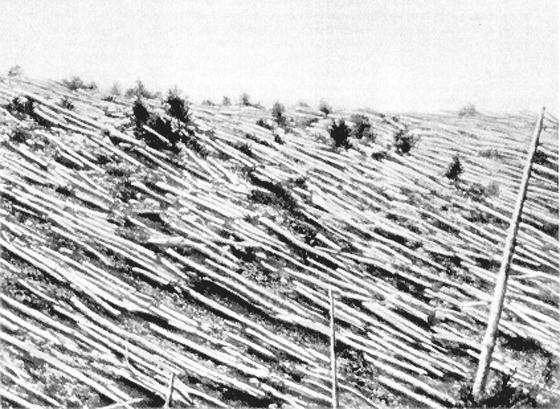 It was this horizontal force, parallel to the ground, that snapped trees for 15 to 20 miles (30 km) in all directions. Low areas were protected where some trees were left standing, for the shock wave passed over them. The expanding air must additionally have moved chaotically, reshaping its path in meeting minor obstructions, like trees and hillocks. Yet, despite the addition of an explosion at ground level as required by Vasilyev, the trees did not burn. They were only superficially singed. The trees were saved by the same rapidly expanding front of superheated air at ground level which initially set their dead branches and needles on fire. The explosively expanding mass of air left a vacuum in its wake which extinguished the flames of the burning trees immediately, especially near the center where the highest temperatures would have been experienced. "There were five explosions, the second seeming to have been the most powerful. Light flashes followed at an interval of a few seconds and were seen at different spots of the sky. The last, fifth explosion, took place far in the north, somewhere near the Taymura river. Trees began to fall and the fire began after the first explosion, while the Evenks [their tribal name] were in their huts, the latter being thrown down." "The data communicated by I.M. Suslov are quite detailed and enable the whole phenomenon to be estimated as lasting no less than 20-25 seconds." Perhaps in "lasting no less" we have a Russian idiom for expressing the fact that the whole incident took very little time. But as I have pointed out, the sound of an explosion 20 miles away would not be heard for 90 to 100 seconds. That is the minimum expanse of time. And the explosions repeated five times, certainly separated long enough from each other so that the Chucchan brothers could recount the lightning and thunderclaps as distinctly separate events. The thunderclaps might indeed have followed at close intervals, but I suspect they arrived at notable intervals. Otherwise the sequence of thunderclaps, lightning, and the blazing object would not have been remembered so distinctly and specifically. What the synopsis by Vasilyev points up is the wide range of readings which have been extracted and presented as facts for the Tunguska event. Vasilyev, in following the mainstream understanding of the event, needed to have the explosions in the sky happen in rapid sequence -- "light flashes followed at an interval of a few seconds" -- in order to conform to the notion of an "exploding comet." If an exploding comet were to detonate five times at 60 second intervals (thus taking 5 minutes) it would not have made any physical sense -- especially if this had to be understood in terms of a compressive shockwave encountered by an object falling in the Earth's atmosphere. "One cannot exclude also multiple reflections of sound from clouds, the waveguide atmospheric effects and so on." "Interestingly, the more emotional perception of phenomena (primarily of sounds) by the western eyewitnesses (on the Angara river) compared with those located to the east (upstream of the Lower Tunguska river) can be assigned to the well-known waveguide acoustic effects in the stably stratified morning atmosphere; indeed, the difference in local time between these regions is 30'- 50' [30 to 50 minutes], a noticeable headway for morning-time warming of the ground-level air mass in the east." It is in Drobyshevski's interest to suggest a very close spacing of the thunderclaps, for it would also support a theory of the aerial detonation of a bolide. I don't think Drobyshevski knows what a waveguide is, but more important, on June 30 at 61 degrees north latitude the Sun rose at 2:30 AM (local Mean Time). It wasn't morning anymore by a long shot. The bolide struck at 7:30 AM local time. The Sun had been up for 5 hours; the Sun was already 30 degrees up from the horizon. Where does Drobyshevski live? Perhaps by "waveguide" is meant the atmospheric reflection of massively loud sounds, such as volcanic eruptions. In AD 1883 the Krakatoa volcanic explosion was heard four thousand miles (6000 km) away. This bending and the further reflection of sound waves is not the mechanism which would shorten a series of local thunderclaps for Drobyshevski. "... sounds produced by direct conversion of electromagnetic radiation into audible sound. In the case of meteor-related electrophonic sounds, they are heard simultaneously with the appearance of a bright meteor." "The sky was cloudless, only a small dark cloud was observed in the general direction of the bright body. It was hot and dry. As the body neared the ground (forest), the bright body seemed to smudge, and then turned into a giant billow of black smoke, and a loud knocking (not thunder) was heard, as if large stones were falling, or artillery was fired. All buildings shook." "The author of these lines was meantime in the forest about 6 verst [about four miles] north of Kirensk, and heard to the northeast some kind of artillery barrage, that repeated in intervals of 15 minutes at least 10 times." "Kezhemskoe village. On the 17th [on the old Russian calendar] an unusual atmospheric event was observed. At 7:43 the noise akin to a strong wind was heard. Immediately afterwards a horrific thump sounded, followed by an earthquake which literally shook the buildings, as if they were hit by a large log or a heavy rock. The first thump was followed by a second, and then a third. Then the interval between the first and the third thumps were accompanied by an unusual underground rattle, similar to a railway upon which dozens of trains are traveling at the same time. Afterwards for 5 to 6 minutes an exact likeness of artillery fire was heard: 50 to 60 salvoes in short, equal intervals, which got progressively weaker. After 1.5 - 2 minutes after one of the 'barrages' six more thumps were heard, like cannon firing, but individual, loud and accompanied by tremors." If we add up the time intervals as reported above, we have perhaps 10 or 30 seconds for the first three thumps, 5 or 6 minutes of "artillery fire," then 1.5 minutes later "canon firing." The last two were reported by the Sibir newspaper as artillery barrage, that repeated ten times in an interval of 15 minutes. Even with large-scale observational errors, the minimum interval seems to be 6.5 to 7 minutes, the maximum is 15 minutes. "The total combination of evidence given by 'eye-witnesses of the Tunguska fall' contains in fact information on at least two (most likely more) large daytime bolides." "The efforts of researchers of the Tunguska problem are being concentrated on solving the problems connected with the necessity to remove the contradictions resulting from a number of paradoxes. Each of the paradoxes contains some logic contradiction reflecting, as a matter of fact, the state of researches at the moment." "The chief difficulty in the asteroid hypothesis is that a stony object should have produced a large crater where it struck the ground, but no such crater has been found. It has been hypothesized that the passage of the asteroid through the atmosphere caused pressures and temperatures to build up to a point where the asteroid abruptly disintegrated in a huge explosion. The destruction would have to have been so complete that no remnants of substantial size survived, and the material scattered into the upper atmosphere during the explosion would have caused the skyglows." I doubt almost all of this, especially since it contradicts the eyewitness reports. But the main problem here is that all of this is fantasy -- the buildup of pressures, the abrupt disintegration, the huge explosion. There simply is no such thing as a buildup of pressures and temperatures. All of this happened, don't forget, far above the atmosphere, in a vacuum where there would be no buildup of pressure or temperature. Within the Earth's atmosphere a pressure wave (as with temperature) is represented by a thin layer of air which precedes the falling object, but never engulfs it. That defines a shockwave. A shockwave travels with an object, it does not bump into it. There would be heat transmitted to the bottom of the supposed iceball, but ice or snow is a very poor conductor of heat (compared to the aluminum shell of a space craft on re-entry). The Tunguska event entailed a rather simple sequence of events -- as best we can reconstruct from the physical evidence, the verbal reports, common sense, and access to electrical theories. Despite blowing down sixty million trees, the Tunguska event is not a good analog model for meteor impacts. There are very large meteorites which have done no electric field damage to themselves. 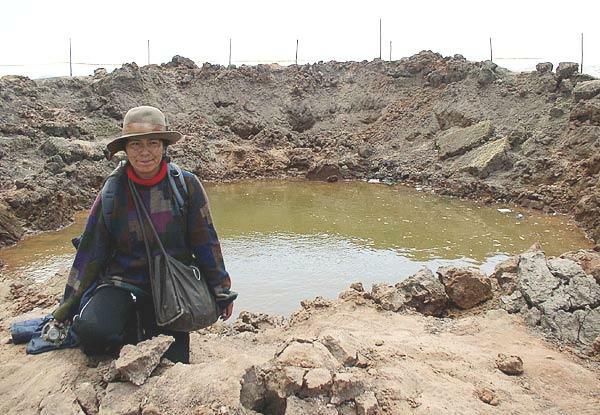 The 130,000 pound Hoba iron meteorite in Namibia, Africa, seems to have landed without even making a crater. The iron Willamette Meteorite, although both ancient and not found in situ, weighs 32,000 pounds -- as much as the semi which hauled it away. All recent meteor falls have been recovered. Most are small asteroids, the size of rocks or pebbles which could be held in the hand. I have here presented the details of the Tunguska event, including the mainstream interpretation, because this information will be used as an analogy by many people who style themselves researchers, including Richard Firestone, et alii, in an article in 2007, for an "impact" and "airblast" at the beginning of the Younger Dryas. The analogy is incorrect, both in scope (I believe) and certainly in the application of the mechanics of a volatile "comet" of watery composition exploding in the atmosphere. But, of course, to stay within the limits of establishment consensus science, the researchers have no recourse except to use these stock fairytales. 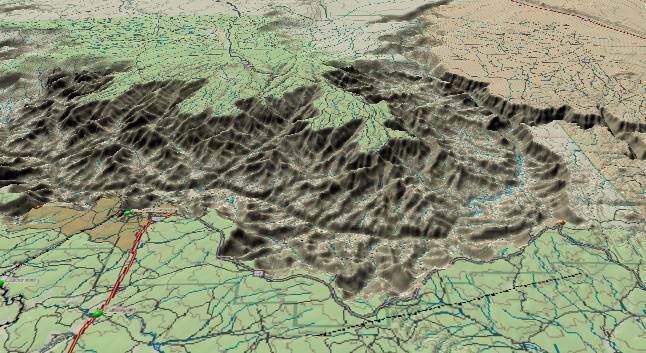 I am including information on the Chicxulub crater and the Grand Canyon (below) to give some idea of the scope of things. 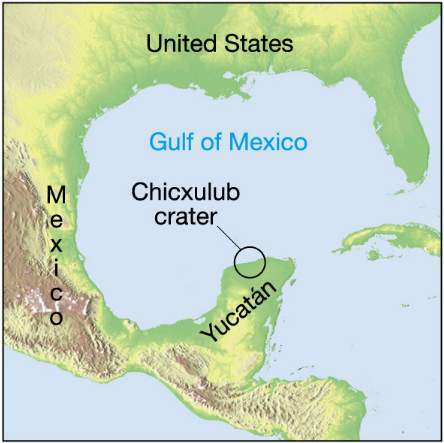 Chicxulub has long been held to be caused by an extra-terrestrial object, and thus popularly understood as an "impact crater" rather than the location of the anode in an extra-terrestrial thunderbolt. Chicxulub was discussed in a previous chapter. There are "impact craters" on Earth; but only about 200 have been identified, and only a few are genuine impact craters. The Moon, Mars, and Mercury, on the other hand, are littered with thousands on thousands of craters. Almost all of them are circular, like the Chicxulub crater, and all are the marks of electric arc contacts, which will always touch down perpendicular to a planet's surface. But the Moon, Mars, and Mercury have no atmosphere to absorb and limit the lightning strikes. For the Chicxulub crater we have some estimates of the energy of detonation. For the Grand Canyon I found no such estimate. But the Grand Canyon is not recognized today as having extra-terrestrial causes, despite the fact that it certainly looks like the mark of a cathode electric arc strike. "The impact would have caused some of the largest megatsunamis in Earth's history, reaching thousands of feet high." "A cloud of super-heated dust, ash and steam would have spread from the crater, as the impactor burrowed underground in less than a second. Excavated material along with pieces of the impactor, ejected out of the atmosphere by the blast, would have been heated to incandescence upon re-entry, broiling the Earth's surface and possibly igniting global wildfires; meanwhile, enormous shock waves spawned global earthquakes and volcanic eruptions." "The emission of dust and particles could have covered the entire surface of the Earth for several years, possibly a decade, creating a harsh environment for living things to survive in. The shock production of carbon dioxide caused by the destruction of carbonate rocks would have led to a sudden greenhouse effect. Over a longer period of time, sunlight would have been blocked from reaching the surface of the earth by the dust particles in the atmosphere, cooling the surface dramatically." The aspects of "global earthquakes and volcanic eruptions" relate to a compressive impulse at an unknown location, directly before the thunderbolt. But there is something to be said for the dust, although this too would likely be due to the compressive forces, rather than the arc, and is rather severely downplayed here. Soot from forest fires would have been lofted into the stratosphere to block sunlight, for much longer than "several years, possibly a decade" -- probably for thousands of years. This was certainly not a "greenhouse" condition. Sean Carroll, in Remarkable Creatures (2009), a book on natural history, writes the following imaginative scenario in describing the Chicxulub crater in the Yucatan. It is but one sample from thousands of science writers. Carroll is a molecular biologist. "The asteroid crossed the atmosphere in about one second, heating the air in front of it to several times the temperature of the sun." And that is only the first sentence. The asteroid here is coming in from directly above, perhaps so that it can make a circular hole in the ground. That is actually hard to do. The air in front of the asteroid does not heat up to "several times the temperature of the sun." The shock front temperature is not easily described from theoretical considerations, or even amenable to thermodynamic modeling. However, there is a rule-of-thumb that holds that the temperature in Kelvin can be numerically approximated by the entry speed in meters per second. As I will develop in more detail later, entry temperatures of spacecraft or bolides may rise to 7,000 Kelvin or could perhaps be as high as 70,000 Kelvin. The lower temperature is only slightly higher than the surface of the Sun (5600 Kelvin). The higher temperature is only a small fraction of the temperature of the Sun's chromosphere, which experiences temperatures of 2,000,000 Kelvin. So where does this statement come from? I suspect it was copied from all the other literature which attempts descriptions of the Chicxulub crater. Have any of the hundreds of science writers ever checked the sanity of this, or have they all forgotten high-school physics? Here the imagination has completely overwhelmed common sense. The sense of enormity is there, but the physics is absent. What Carroll actually meant to do here is to give us a measure of the kinetic energy dissipated on impact, some of which might result in very high temperatures, although of very short duration. At least, that is what is assumed, since no evidence of an impacting object has ever been found, suggesting that it vaporized, as for example at the 3/4-mile (1.2-km) diameter Barrington Crater in Arizona (today called "Meteor Crater"). "On impact, the asteroid vaporized, an enormous fireball erupted into space, and rock particles were launched as far as halfway to the moon. ... Farther away, matter ejected into space fell back to the earth at high speeds -- like trillions of meteors -- heated up on reentry, and ignited forest fires across continents." He then points up the darkness which would result, but like everyone else, the effect is minimized: "The debris and soot in the atmosphere blocked the sun, and the darkness may have lasted for months." How can a period of months account for the demise of every creature larger than a few hundred pounds? The thinking about blocking sunlight is of course influenced by the only slim facts at hand: the climatic effect after the 1883 eruption of Krakatau in Indonesia. The skies darkened worldwide for a few years (Wikipedia), yet the Krakatau eruption represented only the smallest fraction of the Chicxulub impact. As noted above, Bobock and Toon have pointed out that volcanic eruptions produce sulfate clouds which enter and remain in the upper atmosphere for some time, but do not rise into the stratosphere. Recent estimates of the time it took for the deposition of the K/T boundary layer, based on Helium-3 content, suggest 10,000 years. That is, it took about 10,000 years for the dust, soot, and atomic products cast up into the atmosphere and stratosphere to settle out -- not "a few months." As I have pointed out in a previous chapter, despite the consensus opinion that the Chicxulub "crater" was caused by a meteor, I will hold that this and a number of related contacts (at the same time) were electrical. The Chicxulub crater, with its smaller peripheral depressions, the cenotes, represents the Earth as the anode of an absolutely massive thunderbolt. There are exact models of this, complete with on-edge perforations, on the Moon. I have included a few images of the Grand Canyon. These will perhaps convince the reader of the magnitude of the scar of the Grand Canyon, and the forces which might have created it. In the text further below I have some estimates of the energy involved. We have no clear creation date for the Grand Canyon, only from adjacent lava flows some estimates of about 600,000 years ago -- at the latest. I initially thought that the Grand Canyon might represent the location of an arc following the compressive slam over the Laurentide Ice Sheet, but the dates and other facts cannot be matched. "... geologists are divided into two warring camps. 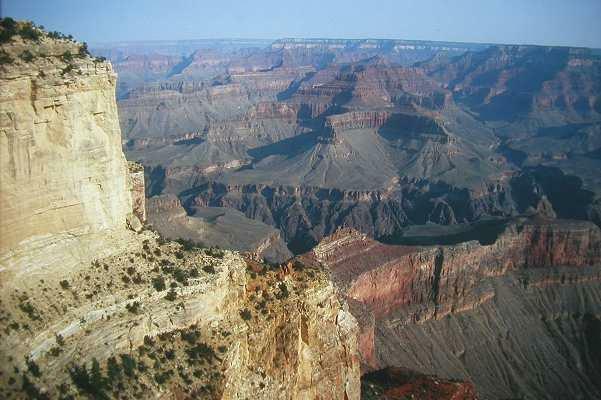 They both agree that the Grand Canyon is young, geologically speaking. The evidence has been building since the 1930's and 1940's that the Colorado river did not flow out of the Canyon nor across the ridges and valleys of Nevada/California before 5.5 million years ago." "The first camp thinks that a proto-canyon completed most of the excavation of the Canyon first. Later, the Colorado river flowed into this pre-existing proto-canyon. The second camp says evidence for a proto-canyon is inadequate, and the whole canyon was carved quickly." Both Juergens and Thornhill have suggested the Grand Canyon is the scar of a massive lightning strike, where Earth was the cathode (thus Earth was the source of electrons). Much of the damage, Thornhill notes, was probably a below ground lightning response to the initial contact. A very equivalent scar on Mars, the Valles Marineris, is nearly 3000 miles long (4800 km), ten times the size of the Grand Canyon. But Mars had no atmosphere. The Earth's atmosphere would moderate an approaching thunderbolt despite the fact that this came from another planet. If it came from Saturn, the thunderbolt came from a planet 10 times the diameter of Earth and with a mass 300 times that of Earth. On the basis of suggestions for the excavation time for the Valles Marineris (by others), I would suggest that the Grand Canyon was excavated and the material lofted up in less than 10 minutes. The thunderclaps would have echoed around Earth a number of times. The ground at the eastern end swelled and raised up, as is typical of cathode marks and can be identified as the point of initiation of the strike, making it look today as if the Colorado river flowed uphill in carving out the depression. The Grand Canyon was the result of a cathode electric arc strike. The lightning at the start of the Younger Dryas was a series of anode strikes, actually much larger than the 220-mile (350-km) scar at the Grand Canyon and much more contained. Where did all the excavated material go? Some probably fell back to Earth. Much of that fell away from the Canyon, as it similarly has on Mars, for it would be ionized and electrically repelled from the location of the electric arc contact. I suspect that much was simply turned to dust and is indistinguishable today from desert sands. If we go on the basis of information which I will present later, we could expect trajectories on the order of 500 to 1000 miles (1600 km) for the removed soils. An enormous amount of dust would have entered the atmosphere, initially causing endless rains -- rains like those which the Popol Vuh claims dissolved the first generation of humans, the mud people. But the rains of the Popol Vuh date to the start of the Younger Dryas. There were no humans of our sorts 600,000 years ago, the youngest date for the Grand Canyon. Ionized silicates and fine dust in the Earth's atmosphere might have formed the initial portion of the conducting conduit for a return lightning stroke directed at Saturn or Mars. A massive amount of nanometer particulates ended up in the stratosphere, matter especially from the fires. Such fires are recognized today by mainstream scientists, as in the recent journal papers of Richard Firestone, et alii. "The neutrons produced unusually large quantities of Plutonium-239 and substantially altered the natural uranium abundance ratios (Uranium-235 / Uranium-238) in artifacts and in other exposed materials including cherts, sediments, and the entire landscape. These neutrons necessarily transmuted residual nitrogen (Nitrogen-14) in the dated charcoals to radio-carbon [Carbon-14], thus explaining anomalous dates." "... at the Gainey site in Michigan a 2880 bp radio-carbon [Carbon-14] date was reported, while the thermoluminescence date for that site is 12,400 years before the present. Other anomalous dates found at Leavitt in Michigan, Zander and Thedford in Ontario, Potts in New York, Alton in Indiana, and Grant Lake in Nunavut [northwest of Hudson Bay] are summarized in Table 1 [not shown here]." "The Grant Lake Paleoindian site is most remarkable because its 160 radio-carbon years before the present age is nearly contemporary, while adjacent and deeper samples give ages of 1480 - 3620 radio-carbon years before the present." After considerable details on Uranium 235/238 ratios, Plutonium, particle tracks in tool-grade chert (Clovis spearpoints), and excess Carbon-14 (levels above the present) -- all claimed to be due to an influx of neutrons from outer space -- the authors conclude that radio-carbon dates for the sites in Michigan, and by extension elsewhere, should be moved far into the past. That is a rather amazing and sudden backtracking for archaeology in the U.S.A.
"The 39,000 years before the present date proposed for the Gainey site is consistent with the prevailing opinion among many archaeologists about when the Americas were populated. It is also commensurate with dates for South American sites and with a Mousterian toolkit tradition that many see as the Paleoindian precursor. ... Since the Lewisville and Meadowcroft sites were likely exposed at the same time to thermal neutrons, we estimate that their dates should be reset to about 55,000 years before the present and about 45,000 years before the present, respectively." Wow! This is a dramatic redefinition of the Indian occupation of America, something which had long been held to 12,000 BC by the North American (U.S.) archaeological community. But there is more. The authors next suggest a "cosmic ray bombardment" from a supernova as the cause for the influx of particles and the altered radioisotopes (plus excess isotopes or elements of Beryllium, Calcium, and Magnesium in the Greenland ice cores for 11,000 BC). "Cosmic rays" are primarily high-energy protons. "The geographical distribution of particle tracks, Uranium-235 depletion, and Plutonium-239 concentration ... are quite consistent, although the particle tracks seem to be confined to a smaller geographic area. They indicate energy released over the northeastern sector of the U.S., with maximum energy at about 43 degrees N, 85 degrees W, the [Lower] Michigan area of the Great Lakes region." This last would seem to indicate a very focused source of a limited diameter, even though any "cosmic ray bombardment" from afar (as suggested by the authors) would, in fact, cover a much larger circular sector of Earth before the impinging rays were no longer near vertical -- probably 25 to 30 degrees of the circumference of Earth, an area with a diameter of 2000 miles (3000 km). This is a very strange discrepancy: the external "nova event" would cover a very wide area, while the actual data is found primarily in an area of a very limited diameter -- less than 200 miles (300 km). To resolve this, that is, the fact that "particle tracks seem to be confined to a smaller geographic area," the authors imagine an additional local aerial explosion above the "smaller geographic area" -- in fact, above Lower Michigan. This becomes and remains the second causal conditions for the Younger Dryas event, the first being the incoming radiation from a supernova. There is just no other solution but to suggest two different distribution systems. This is, of course, exactly what the electrical cause for the event will also claim, but for clear reasons. "The enormous energy released by the catastrophe at 12,500 years before the present could have heated the atmosphere to over 1000 degrees Centigrade over Michigan, and the neutron flux at more northern locations would have melted considerable glacial ice. Radiation effects on plants and animals exposed to the cosmic rays would have been lethal, comparable to being irradiated in a 5-megawatt reactor more than 100 seconds." Then there follows a comment which is very interesting. It is known that grain cultivation was started worldwide in about 9000 BC, at the end of the Younger Dryas, when the climate improved again. The sudden appearance of maize is noted in the Maya Popol Vuh also. "Massive radiation would be expected to cause major mutations in plant life. Maize probably evolved by macro-mutation at that time, and plant domestication of possibly mutated forms appears worldwide after the Late Glacial period. For example, there was a rapid transition from wild to domesticated grains in the Near East after the catastrophe." "The modified dates for Paleoindian settlements suggest that the timetable for glacial advance sequences, strongly driven by conventional radio-carbon dates, should be revisited in light of the evidence presented here of much older occupations than previously thought." This position will be modified later. In the paper of 2007, it serves the authors (plus 23 additional authors) better to leave much of the Laurentide Ice Sheet intact -- as a landing site for a comet or comets, and in order to shove ice into the North Atlantic and initiate a thousand years of cooling. "Since the inception of the investigation, the Principal Investigator [William Topping] has regarded a 'solar flare' as direct cause for the clear pattern at about 12,500 years before the present as recorded in ice and marine data, Paleo-Indian radio-carbon dates/artifacts and associated extinctions and mutations, and also sediments at depth, simply because the overall pattern suggests an 'event' of less than about 24 hours duration with primary observable effects consistent with the rotation of the earth in respect to the sun." "Firestone may be correct in hypothesizing a supernova, and there are other possibilities as well." It is, of course, the "other possibilities" which I am proposing here -- that the whole of the altered isotopes could be caused directly by a series of absolutely stupendous lightning strikes following the initial compressive impulse. And more. The bolts should have done damage far in excess to what is seen today at the 240-mile-long (380-km-long) gouge of the Grand Canyon. I should also mention that his suggestion of effects "consistent with the rotation of the earth in respect to the sun" do not add up, neither for the authors nor for me. For the researchers, whatever happened over Hudson Bay, should have been followed by effects further west. But instead, it looks like there were almost simultaneous "explosions" over the Great Lakes. In actuality even less of it makes sense when the Carolina Bays on the Atlantic coast are factored in -- a topic I will cover in a following chapter. In my sequence of events, the site of activity first moved south and east to Lake Ontario -- thus seemingly against the direction of the rotation of the Earth. This can be done if it is admitted that when the Earth was slammed near the time of the spring equinox, the Earth's rotational axis would be pointed in the trailing direction of the Earth's orbit. Tilting the axis away from the source of the impact would move the perpendicular direction to the exterior planet directly southeast to Lake Ontario. The effect would be to have the Great Lakes move eastward by about a half time zone. The resulting gyroscopic reaction torque would then move the remainder of the Great Lakes toward the east also at considerably more speed than the normal rotation of the Earth would accomplish. The Younger Dryas affected different areas of the world unequally and out of sync. South America cooled far too early to match the supposed influx of meltwaters from the North American glacier into the North Atlantic, which today is held as the cause for the cooling in Northern Europe. The Arctic and far southern region of South America were less affected, as also the tropics. This suggests that the darkness was climatically distributed over the Earth. In fact, the "disruption of the Gulf Stream," due to the supposed influx of North American meltwaters, is today dated to about 6200 BC, and lasted a thousand years, thus to 5200 BC. These dates are well after the end of the Younger Dryas. The disruption of the Gulf Stream probably represents a tidal system rotating around Earth in the North Atlantic and North Pacific as Earth drew closer to Saturn, but still positioned off center from the south pole of Saturn. This would have disrupted the northern end of the Gulf Stream. A thousand years later (5200 BC) it was over; Earth had repositioned to more or less directly below Saturn, although I have identified this as 5800 BC. Any charged object in space will attempt to isolate itself from external electric fields by forming a plasma "double layer" at the outer edges of its plasmasphere, which will isolate its own electric field from the exterior field. The largest voltage drop will be between the exterior field and the field at the interior of the plasmasphere. This boundary is called the "double layer." The double layer consists of an interchange of positive and negative ions drifting back and forth across the boundary between the exterior and interior electric field. Inside the plasmasphere there is very little voltage difference until the surface of the planet (or comet) is reached. This is actually a very efficient means of isolation. The double layer will reconstitute itself as charges move across the voltage boundary. Similarly, the very low voltage drop inside the plasmasphere will keep like-charge ions separated, and thus maintain the low-voltage gradient. The edges of the Earth's plasmasphere, where the double layer exists, are located some 10 to 20 Earth diameters away from Earth, thus 80,000 to 160,000 miles (250,000 km) away from Earth. (The Earth's diameter is 8000 miles, 13,000 km.) When the plasmasphere double layer is constituted, the Earth would be invisible to the electric field of Saturn, even if all of the Earth were within Saturn's plasmasphere. Gravity sees through a plasma double layer, and thus keeps the Earth from escaping to outer space. "Since the tail of a comet always points away from the Sun, this comet's tail had to have been extended toward the west [the Sun being in the southeast at 7:30 am]. It would then be at right angles to the path of the comet's head as it entered the Earth's atmosphere. The tail would stretch westward from Siberia more than a thousand miles across Europe, producing the brightness that amazed everyone on those June nights in 1908. The tail would drift high above Earth, unable to penetrate the atmosphere." This is all a fantasy, woven into a narrative in the imagination, and not even correct. The Sun was in the east (not the southeast) at 7am in the morning (it rose in the northeast at 2:30 AM), so that the supposed tail would actually be more or less in line with the direction of travel -- if the tail could have been seen at all. Waskin assumed that this tail was made up of "ices" so as to reflect sunlight, and only a thousand miles (1600 km) long, rather than the typical comet plasma tail which ranges to 100,000,000 miles (160,000,000 km). The actual tail was described by observers as a "tube." It would have been formed by the shadowing of the Earth's electric field, so that the Sun at this point has nothing to do with the direction of the tail. Within the plasmasphere of the Earth the tube would point straight up from the bolide. At 7.15 am, a fiery pillar appeared to the northwest, about four sagens [over 8 meters] in diameter in the shape of a spear. When the pillar disappeared, five strong brief bangs were heard, like cannon shots following quickly and distinctly one after another. Then a dense cloud appeared at that place. "The reports of researchers and explanations of scientists speak of a single Tunguska object. Yet the eyewitness accounts of the event itself and the evidence gathered by researchers stubbornly indicate that there were several objects in the sky, following different trajectories from different directions, but most significantly moving slowly, parallel to the Earth's surface, sometimes stopping, changing course and speed -- in other words, maneuvering -- which entirely excludes the suggestion that the objects seen were comets or meteorites. Since electric fields propagate instantaneously, the Earth would sense the field of the approaching bolide as soon as the foreign field reached a certain threshold value. It generally takes the time period of the death of the old guard before concepts admitted to orthodoxy are dropped. Meanwhile their graduate students and press release people sort of cover up the facts to make them conform to the mainstream consensus of an era, even when they make absolutely no sense. "While we have never viewed asteroids and meteoroid swarms up close, we now have space probe data on comets. First a probe was renamed ICE and run through the tail of the Giacobini-Zimmer comet with interesting results. The immediate NASA report was 'no dust, a maelstrom of electromagnetic effects and a need to completely rethink our approach with regard to cometary theory.'" "In about a week this was changed to 'less dust than expected and a somewhat surprising amount of electromagnetic effects.'" "In about a month the news was further refined to 'the comet was a dirty snowball as had been foreseen by accepted theory.'" Something of a similar shift in reporting happened with the reporting on the probe "Deep Impact" aimed at comet "Tempel-1" for an impact on July 4, 2005. I gathered press on "Deep Impact" on July 4, 2005, and at two weeks, two months, two years, and five years later. The last instance was after new images had been taken of the impact site which showed nothing although NASA claims otherwise. See the Appendix "Deep Impact." See also a summary of expected activities for the event at [www.thunderbolts.info/tpod/2006/arch06/060202tunguska.htm] and [www.thunderbolts.info/tpod/2006/arch06/060203tunguska2.htm]. These basically conform to what is being presented here. I did not run into these until after writing up the information on Tunguska based on the eyewitness accounts which I had collected. These two descriptions also treat plasma as if it is a fluid being poured onto the Earth, and various effects happen within this. Electric field forces are entirely neglected. Ted Bunch, one of the co-authors of the 2007 paper by Firestone, et alii, notes the following in an email to Leroy Ellenberger, and forwarded by Leroy on April 13, 2010, "None of the typical shock criteria are found, although magnetic spherules, Iridium-rich fraction, carbon melt spherules, and nanodiamonds are found at Tunguska." The next chapter will point up the uselessness of most of these particles as data. -- they point nowhere in particular. Off the point of this endnote although relevant to a later discussion, he also wrote, about the fires at Tunguska, "No crater, but intense and directional short lived fires (flash heating). ... Computer simulations (Sandia Labs) suggest that if the gaseous jet from an aerial detonation hits the ground, the upper few millimeters may be melted/vaporized as well as flash heating of all vegetation." I don't doubt any of this, except for "the gaseous jet," that is just an insane fantasy, especially in the use of the definite article. The original idea of the gaseous jet scenario can be attributed to a Russian investigator, A.E. Zlobin, in 1989. A blast of 10 exp 8 megatons of TNT was the original estimate of Luis and Walter Alvarez before the Chicxulub crater was identified. It represents the dissipation of the total of all of the kinetic energy of a large incoming bolide of a diameter considerably smaller than the 110-mile (177 km) diameter Chicxulub crater. Size of this page: 20736 words.